Bonnaroo, Coachella, and Lollapalooza. For the last few years, these have been the largest music festivals money could buy a ticket to. Of course money isn’t everything, and as we have gotten older, it’s become harder and harder to find artists in these line-ups worth getting excited about. All respect to Outkast and Wilco, but where are the artists that you can truly look forward to rather than just plan your trips around? 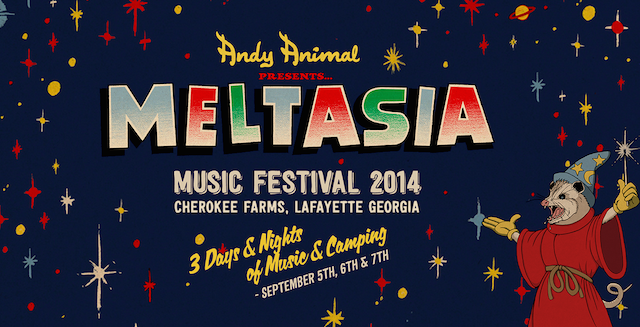 Enter MELTASIA, a first-time experience/experiment for the luckier masses. Prepare yourself for legends like Nik Turner’s Hawkwind, Cherie Currie, and Black Oak Arkansas playing alongside working-class favorites like Hank Wood and the Hammerheads, Cheap Time, and Dino’s Boys all in a field in Northern Georgia. We could tell you more, but if that isn’t enough information to convince you that this will be a righteous time, you may be on the wrong website. The big weekend is less than a week away, but it’s sure to be one for the ages. Check out all the details here, and get your tickets here.